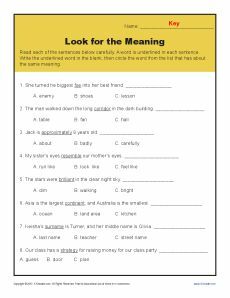 The sentences in this worksheet provide clues for the meaning of a complex word in the sentence. Your student will use the context clues to discover the meaning. While it’s aligned with Common Core Standards for 4th grade Language, it may also be helpful for other students.